If you have an online business like most of my clients, your website is probably a key component of your marketing strategy. You may have invested in an attractive design, up-to-date technology, and might also be investing in generating visitors through paid advertising or seo services. One area that most clients overlook, though, is the process of conversion rate optimization- which improves results from your website as it is right now, without spending more on traffic. Conversion rate optimization (CRO), is the process of increasing response rate within the pool of visitors you already have. A solid web strategy should include ongoing page optimization so that you are getting the most value from your existing visitors as possible. When I perform conversion optimization for my clients, one of the challenges we run into when testing is that they might not have enough traffic to do robust testing. So this article is about how to test a low traffic site. Please contact me if you are interested in conversion rate optimization for your website. First, let’s define what testing is. (It’s also called A/B testing or split testing.) As it sounds it is a way of testing various options for your website pages to determine which combination of text, images, colors, and offers results in more sales or subscribers. For typical A/B testing, you would want a site to have at least 1,000 visitors per week, because the tests otherwise take too long to show statistically significant results. To complete this kind of testing, you would set up a control page and one or more variants. 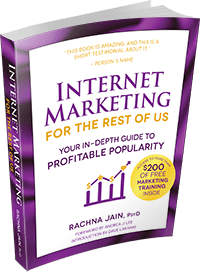 You would then use some kind of optimization software to keep track of how the pages are being used by the visitors and which one results in the most sales or leads. You would set up the low traffic test to send visitors to the control and the variants to see which page has the highest conversion rate. 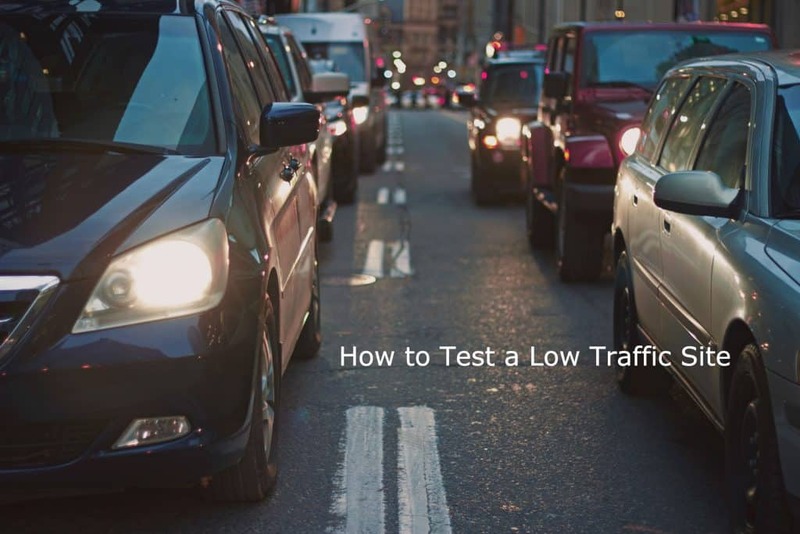 The trouble when you want to test a low traffic site is that if you don’t have that many people coming to your site, it can take a while until you see a clear winner. In some cases, you might not see one at all, in which case, either leave as is, or try a new variation. Another problem when you want to test a low traffic site is how long it might take to get a clear winner. In round numbers, you should have at least 100 people visit each page and then compare the sales from each page. A conversion rate of 0.05% is typical. Anything above that is good. 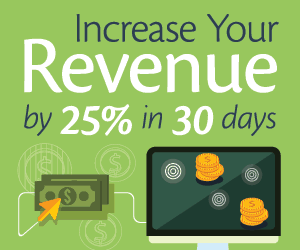 If you see a page with a 5% conversion rate, it’s well performing. But you should still try to beat it. It will become the “control” in the test, and the B version of the page will be the split or the “treatment”, as it is commonly termed by those who do a lot of split testing. Even small gains when testing a low traffic site can still mean big money, especially if you are selling high-end products or services. In sites that have a lot of traffic, you can do what is termed multivariate testing – that is, testing more than one element at the same time. This doesn’t work well for pages with low traffic, because again, you will be looking at a long test that will take quite some time before you reach a statistically significant conversion rate. Testing four variations would take months, or even years. Some testing tools will let you test sales letters down to the last sentence. However, if you have low traffic, it is better to test the big things that can make the most difference to your profits. 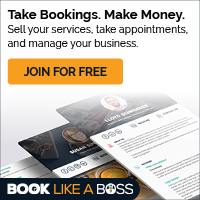 These will usually be the headline, subheadline, price, and position of elements that encourage action, such as the Buy Now button or Subscribe Now button. If you can get all of these “above the fold” so readers don’t have to scroll down, you might be able to boost your conversions. High impact might also vary depending on your audience. Test your lead generation magnets, such as two different reports on different topics, or a report versus a multi-lesson ecourse. Test your product package, with no bonuses versus one or more bonuses. In most cases they cost little time and effort to produce but can significantly boost sales. This is why it’s important to test a low traffic site- because even a small lift can generate more subscribers and sales. If you have a small budget, use ads to drive traffic to the page so you will get faster results. You can A/B test your ads to get the best ad and highest click-through rate. You can A/B test your email subject lines to see which one has a higher open rate. A/B testing can take time, but if it boosts conversions by even 1%, that means you can make more money even from your existing traffic or subscribers. So you should test a low traffic site, but you might need to make some adjustments to the number of variants, the factors you test, and how long you keep the tests running.